At MSN Health, Prevention author Arthur Agatston, MD, is trying to shed some light on what he says is “a paradox that has long puzzled doctors.” Research has shown that roughly half of all people who have heart attacks have perfectly normal cholesterol levels. Dr. Agatston references a patient with a total cholesterol level of 145 mg/dL who had suffered two heart attacks by age 48, and another patient with a total cholesterol level of about 300 mg/dL who at age 70 did not have plaque in her coronary arteries. While total cholesterol numbers are important, is seems that the size of the actual cholesterol particles is just as important, according to Dr. Agatston. Not all LDL actually gets deposited in arterial walls, causing plaque buildup. While small LDL particles easily puncture the arterial lining (causing plaque deposits), large particles actually bounce off arterial walls harmlessly. Dr. Agatston proposes that physicians test patients for LDL particle size. Tests for LDL particle have been clinically available for roughly 20 years and widely available for 5 years, according to Dr. Agatston. Plus, the tests are typically covered by health insurance. They are graded differently, depending on the test, but most provide a reading of small, medium, or large. For patients with small LDL particles, lifestyle and diet changes and/or medication can help change those small particles to larger, safer particles. According to Dr. Agatston, fibrates—which are used to decrease triglycerides and increase HDL—can also increase LDL particle size. Despite this knowledge, very few patients are tested for particle size. • Do you test patients for LDL particle size? • Would you feel comfortable using a fibrate off label to treat patients with small LDL particles, or would you prefer to wait until an agent is FDA-approved to do so? @Pete – sorry, could you tell me what VA HIT stands for and what are FH patients? What evidence or data support particle size? In VA HIT it did not show statistical significance with cardiac events. It appears as though quantity of LDL Particles is supported by the literature (MESA, Framingham & VA Hit). 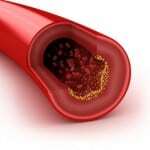 When the quantity of LDL particles is abnormal,they tend to be small. However, size is not the diver of interaction with the intima. This can be seen in FH patients.